Two's company! 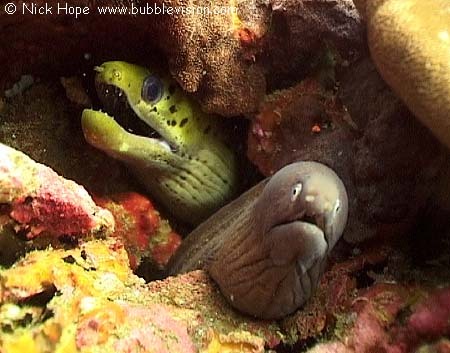 Different species of moray frequently live in close proximity at Shark Cave. Here we see a greyface moray (Gymnothorax thyrsoideus) and fimbriated moray (Gymnothorax fimbriatus) sharing the same home.